Wulf is one of the UK’s top selling off-road race & leisure wear manufacturer. Founded in 1980, Wulfsport manufactures an extensive range of products that are hard-wearing & practical, meeting the needs of professional, club and social riders alike. The Wulfsport range is tried & tested regularly at the top level providing official recognition of their high quality products. 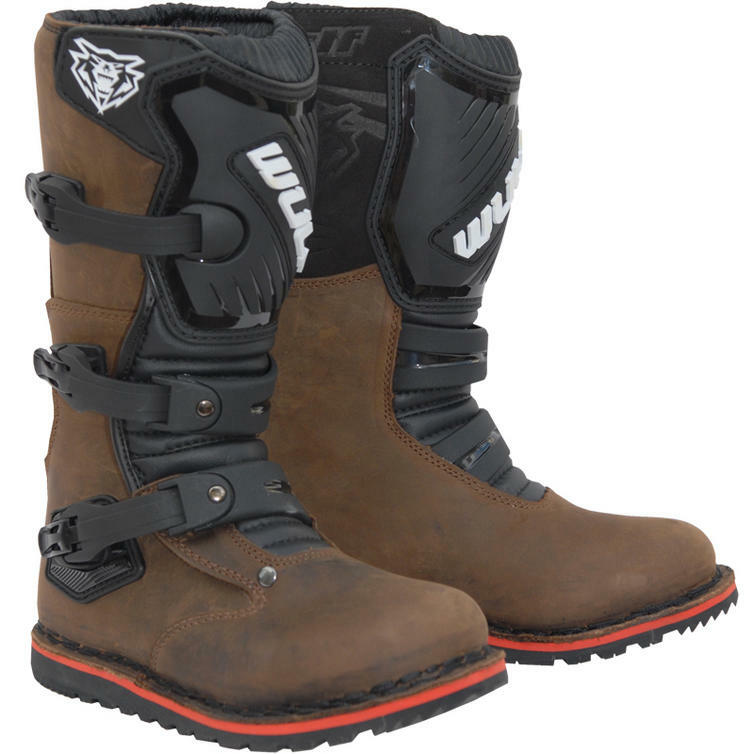 The Wulf Trials Cub Boots are part of the latest Wulfsport collection. 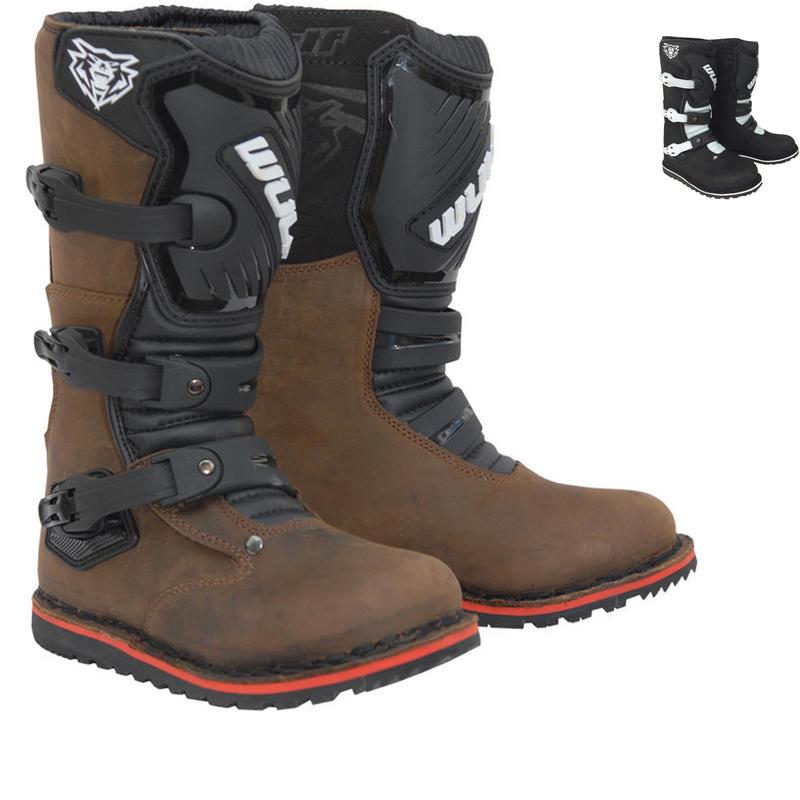 The new Wulf Trials Boots have been designed to meet the requirements of every trials rider. Whether you're just starting off or competing in a championship, these boots will not to let you down. With Polyester and nylon lining for added comfort, adjustable plastic straps, extra ankle protection and a micro-injection shin guard the boot offers all the modern features you have come to expect. But also featuring classic materials such as full grain leather construction, suede heat shield and flexible rubber sole the Wulfsport trials kids boots pay homage to the history of motorcycle trials. 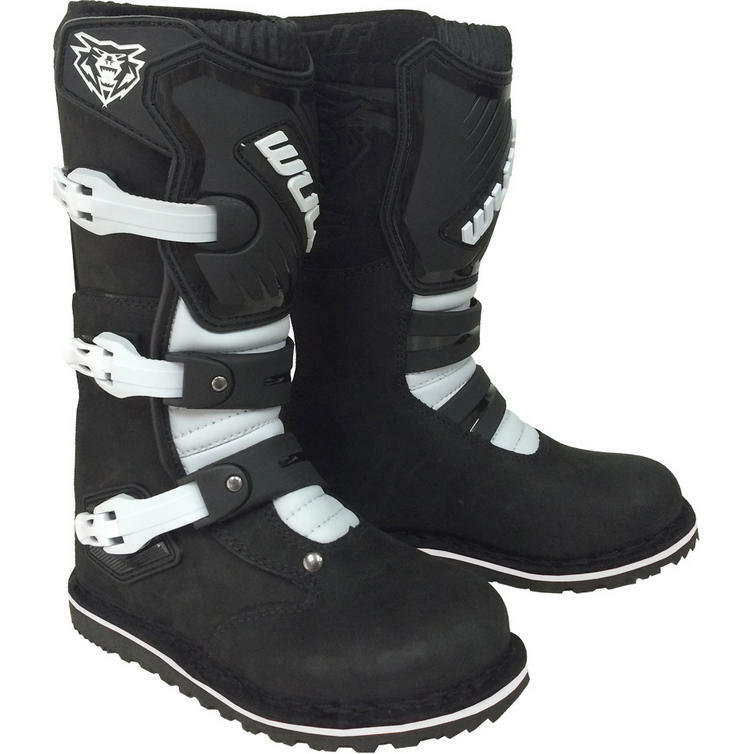 View all Wulf Trials Boots. View all Trials Boots.